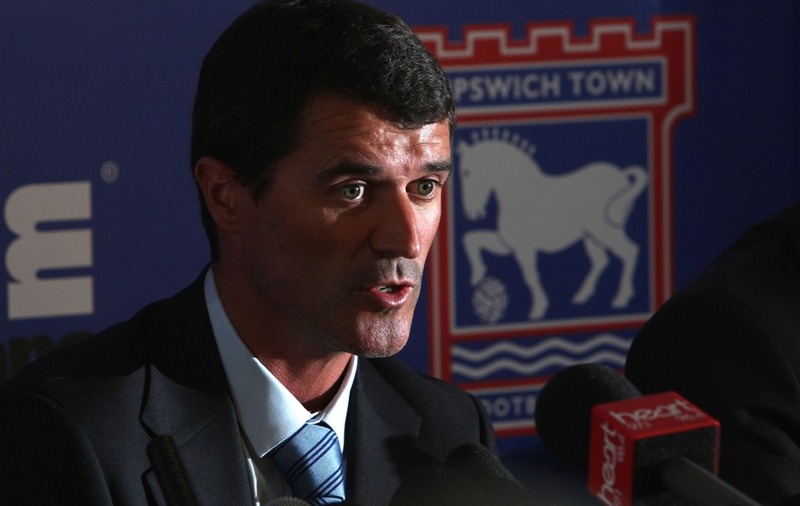 Roy Keane was unveiled as Ipswich Town's manager nine years ago today. 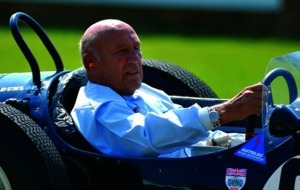 Stirling Moss, whose Formula One career was ended on this day in 1962 after a crash at Goodwood. 1962: The career of racing driver Stirling Moss ended when he crashed his Lotus-Climax at 110mph during a Formula One race at Goodwood. He sustained a broken leg, broken ribs and serious head injuries and did not race again in Formula One. 1983: Cliff Thorburn recorded the first maximum 147 break in the World Snooker Championships, achieving the feat against Terry Griffiths at the Crucible Theatre, Sheffield. 1986: Former England cricketer Jim Laker died, aged 63. His record of taking 19 wickets in one Test match still stands. 2003: Brazilian striker Ronaldo scored a hat-trick as Real Madrid beat Manchester United 4-3 at Old Trafford to progress to the Champions League semi-finals 6-5 on aggregate. David Beckham came off the bench to score two of United's goals. 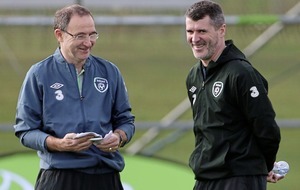 2009: Roy Keane was appointed Ipswich manager on a two-year contract. 2012: Rangers owner Craig Whyte was banned for life from any involvement in Scottish football and a 12-month transfer embargo was imposed on the club as part of a series of punishments handed out by the Scottish Football Association as a result of the club's insolvency. 2013: Sarah Stevenson, Great Britain's most successful taekwondo fighter and a two-time world champion, announced her retirement. Darren Huckerby (soccer) - Former Coventry, Manchester City and Norwich forward, born 1976. Barry Hawkins (snooker) - World Championship runner-up in 2013, born 1979. Andy Webster (soccer) - Former St Mirren, Hearts and Scotland defender, born 1982. Daniela Hantuchova (tennis) - Retired Slovakian winner of all four grand slams in mixed doubles, born 1983. Steph Houghton (soccer) - Captain of Manchester City Women and England Women, born 1988. Victor Anichebe (soccer) - Nigerian striker who played for Sunderland, West Brom and Everton, currently a free agent, born 1988. 1 Which decorated British Olympian won the 5,000m at the 2001 European Junior Championships aged 18? 2 Snooker player Mark Selby was born in which UK city? 3 Where do Munster Rugby play their home games? 4 Who scored the winning goal for Arsenal in the win over Chelsea in the 2017 FA Cup final? 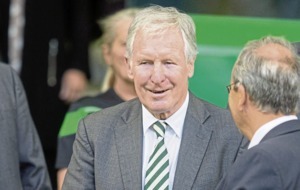 5 Which county cricket team is known as the Bears? SOCCER: Premier League, Everton v Newcastle United - Sky Sports Main Event, Sky Sports Premier League 1900; Serie A, Genoa v Hellas Verona - BT Sport 2 1930. SNOOKER: The World Championship - BBC Two 1000 and Eurosport 1 1000, 1430, 1830. TENNIS: ATP Tour, the Barcelona Open - Sky Sports Main Event 1000; WTA Tour, Istanbul Cup - BT Sport 2 1200 & 1500; Porsche Tennis Grand Prix in Stuttgart - BT Sport 1 1400, 1930. BASEBALL: MLB, New York Yankees v Minnesota Twins - BT Sport/ESPN 0000 (Tue); San Francisco Giants v Washington Nationals - BT Sport 2 0300 (Tue). BASKETBALL: NBA, Utah Jazz v Oklahoma City Thunder - BT Sport 1 0330 (Tue). SOCCER: Champions League, Liverpool v Roma - BT Sport 2 1830. CYCLING: Tour of Romandy - Eurosport 2 1500. SNOOKER: The World Championship - BBC Two 1000, 1300 and Eurosport 1 1000, 1430, 1830. TENNIS: ATP Tour, the Barcelona Open - Sky Sports Main Event 1000; WTA Tour, Porsche Tennis Grand Prix in Stuttgart - BT Sport 1 1030, 1730. BASEBALL: MLB, Houston Astros v Los Angeles Angels - BT Sport/ESPN 0100 (Wed). BASKETBALL: NBA, play-offs Boston Celtics vs Los Angeles Lakers - BT Sport 1 0100 (Wed).